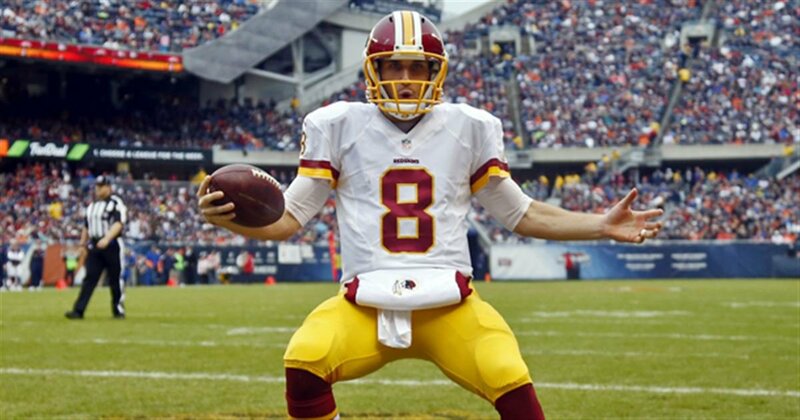 When the Washington Redskins failed to come to a long-term agreement with quarterback Kirk Cousins, it was surprising on many levels. Players normally prefer to have the security of a long-term contract heading into a new season. Teams like to know they are not going to lose their franchise quarterback to a higher bidder as well. But the Redskins apparently didn’t make Cousins a deal he felt good about taking. So, he’s rolling the dice once again and playing on a one-year deal courtesy of the franchise tag. Some players would be worried about doing so. Playing in the final year of a contract or on the franchise tag offers no financial security. Get injured, and they almost guarantee they will not see a big money deal for a few more years (if ever). When it comes to making the kind of money NFL players get paid, it seems like it would be more practical if a player were nervous. But Cousins wasn’t last year when he rolled the dice, and he isn’t this year either. Ask him why and his reason is straightforward and to the point—he didn’t feel good about signing for what Washington offered. “I didn’t feel at peace with signing a long-term deal at this juncture,” Cousins said after practice Sunday, via ESPN’s Dan Graziano. Considering the front office turmoil the team had during the offseason, the rest of his comments make perfect sense. With the uncertainty in the Redskins organization, there is no telling what the Redskins roster will look like in the near future. They let his top two targets walk in free agency this year. What’s to say they will not let Terrelle Pryor walk next year? Or Jamison Crowder in a couple of years? But he left a lot of money on the table. According to reports, the Redskins were willing to guarantee him $53 million ($72 million for injury). Yes, that’s a lot of money, but if he plays out this year (like he is) and gets hit with the transition tag (which would allow Washington to match any offers made), he’d make $52.6 million. So, there really wasn’t much of a benefit to signing that deal for Cousins. While the final number may have been impressive and incredibly high, Cousins knows it isn’t real (via ESPN). But what if he has a down year? Wouldn’t that give the Redskins a reason to lowball him when talks start back up? His productivity will not be a factor in negotiations next year. Anyone interested in him will point to his first two years as a starter and blame this season on a lack of weapons (if he has a down year). But what about the market? There are going to be a few other guys looking to get paid. True, but Drew Brees isn’t going anywhere. Neither is Matthew Stafford. If Sam Bradford play well, teams will still be nervous about his injury history. As for the new crop of rookies, some teams will be more than happy to take one of them (Sam Darnold, Josh Rosen, Luke Falk, Mason Rudolph, Baker Mayfield, etc.) and look to the future. But a team ready to win now will want Cousins. 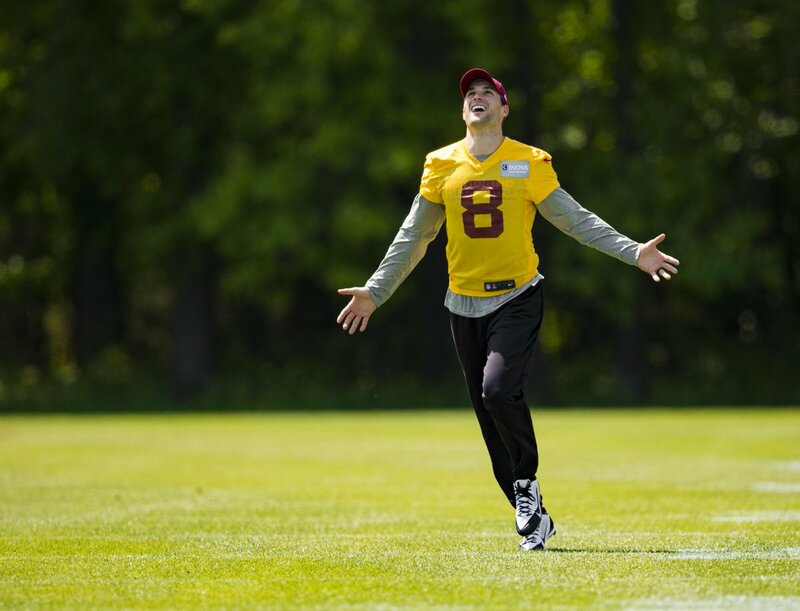 So, does Kirk Cousins have any reason to worry? Should he be concerned about his future? By the end of this season, he’ll have made just under $46 million. Next year he’ll be at the top of the market once again.